The Waterproof Pendant and MPPL Pager Alarm Kit comprises of a pendant call alarm and a receiving pager - it's everything you need for a domestic call system. 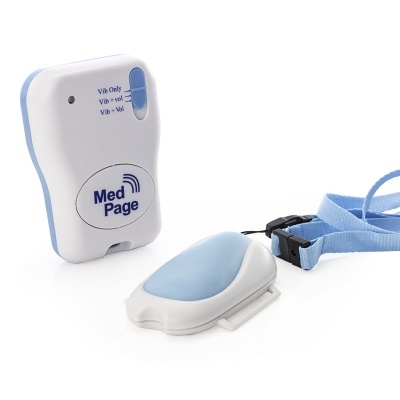 This kit provides a flexible and reliable paging system; up to 8 pendants can be added to any one pager, which is ideal if you need multiple panic alarms around the house or for a number of people. Whatever your paging needs, the Waterproof Pendant and MPPL Pager Alarm Kit will deliver the performance and reliability you need. The Waterproof Pendant is a transmitter housed in an IP67-rated waterproof case with an easy-press switch. This pendant is supplied with a lanyard and a hook and loop fastening wrist strap. The easy-press design of the button means it can be operated by people with limited dexterity, for example people who suffer from Arthritis. What's more, the button softens over time, making it easier to press as time goes on. Because it's waterproof, the pendant alarm is a fantastic option if someone has difficulty in the bathroom. The waterproof pendant is the only waterproof call pendant on the market that features a replaceable battery, meaning you don't have to keep buying pendants when the battery dies. The Multi Purpose Pager Alarm features a built in vibration alarm, which can be selected to work with a choice of high volume tone, low volume tone or vibrate only. 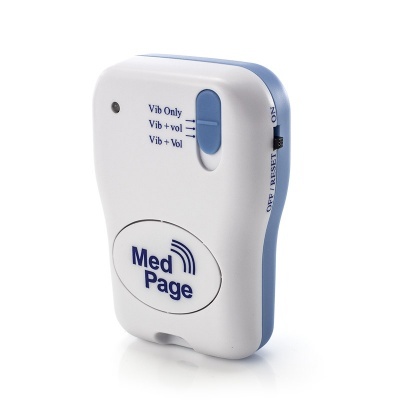 The pager will continue to alert for up to 2 weeks until it is acknowledged, and it has a battery life of approximately 12 months depending on the batteries used. 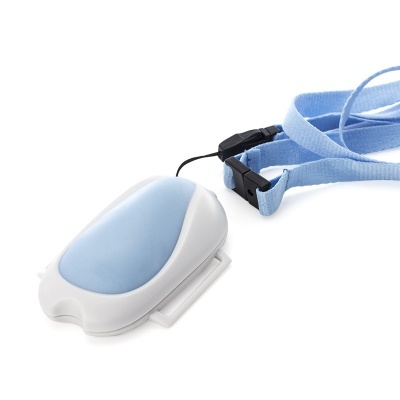 This Pager Alarm is housed in a robust and stylish case making it ideal for a carer to carry around throughout the day. Up to 8 pendants can be used with this Pager Alarm if required, please select the amount your require from the drop down menu above.